Sellier & Bellot is a Czech Republic based ammunition maker that has been doing this work since 1825; its history and traditions of reliability and high-end performance are second to none in the region, and have become something of legend for most shooters. This is especially true for those who rely on the maker to take obsolete or underutilized cartridges from days past and re-introduce those cartridges in a modern component build that allows the modern shooter to take advantage of the cleaner shooting, more accurate and better able to be reloaded characteristics. 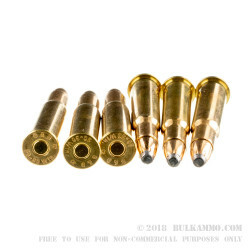 The cartridge casings they use for the American market are generally Boxer primed and brass. 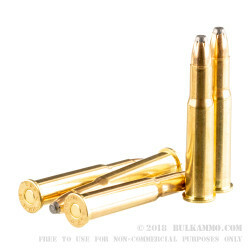 The ease of reloading and the quality brass means reloaders have a discount to some of the brass they would ordinarily have to pay a premium for, considering the lower price point due to S&B loading it in volume for the world. 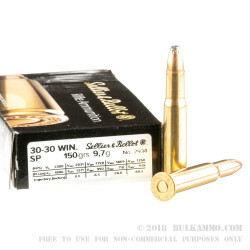 This is a 150 grain soft point projectile that offers good velocity and nice functionality in most guns chambered in the .30-30 Winchester round. This is also true for lever guns chambered in the round. The cartridge is suitable for use in any mainstream modern firearm capable of shooting the .30-30 round. 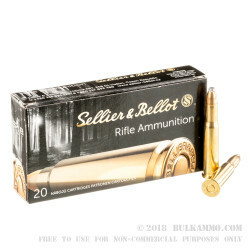 A: Sellier & Bellot makes quality ammo, and is a good company. We're just able to bring you their ammo at a great price. This .30-30 ammo is safe for lever actions. Q: Is this ammo manufactured in the USA? A: Sellier & Bellot ammo is manufactured in the Czech Republic. The company has been manufacturing ammo since the 1800s. Q: Does this bullet drop fast because it isn't pointed?